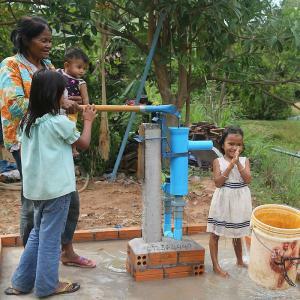 SIEM REAP, CAMBODIA – DECEMBER 5, 2018 – Tavoos Yoga Cafe & Wellness Center in Cambodia, a Canadian owned non-profit social venture which returns all of its profits back into the local community has reached a new milestone by donating its 25th water well in the first year of operation. This comes only two days after being announced as the number one Yoga teacher training school in the world by Luxury Travel Diary. Tavoos Yoga is the only Yoga Alliance® Registered school in Cambodia and was founded for one purpose only; to share the gift of wellness. Since Tavoos opened its doors exactly one year ago, it has provided to date 25 water wells in communities all over Cambodia. Furthermore providing scholarships to Khmer women and men who aspire to become Yoga Alliance® certified teachers, as well as free Yoga classes daily to anyone who wishes to come by. Founded by a group of independent philanthropists from Canada and Netherlands, Tavoos Yoga was started after its founders realised the impact wellness tourism has in developing countries. “We saw the influx of cash coming into the country as a result of wellness tourism, and since majority of our founders all have a background in humanitarian work we realised that instead of profiting from Yoga retreats and Yoga teacher training courses, we could share the gift of life, which is clean water, through Yoga. The genuine beliefs of Yogis is to be kind and give back, this is what we do.” Says co-founder Valentina Lyubiteleva. Most notably is that Tavoos Yoga’s entire administrative backbone, as well as legal, marketing and technical departments are operated by its founders who donate their services. No salaries are taken by the founders or board of directors from Canada or Netherlands, leaving more funds for the humanitarian work that Tavoos does, as well as fair wages for local Cambodian staff. 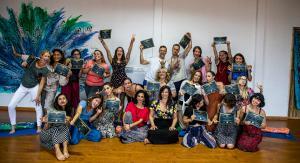 Tavoos Yoga has recently announced its Yoga Alliance® 200hr teacher training course dates for 2019.